SAN ANTONIO, TX--(Marketwired - Jan 23, 2014) - Redecorating can be challenging even for those with a well-developed design sense, and perusing wallpaper samples and swatches may create more questions than it answers. Trying to narrow the myriad choices down to one selection can be overwhelming, and it can be difficult to know where to begin. Wallpapers To Go has developed a helpful tool that can make the process of selecting new wall coverings much easier: the color wheel. This tool, which is available to everyone, allows designers to select the colors they know they want and then shows them selections that match that color. The result is a helpful tool that makes decorating fun and easy! The color wheel is a dynamic tool that allows users to select the precise shade of wallpaper they are looking for, in much the same way that colors are selected in photo editing software. Users can match colors to carpeting, furniture, swatches of draperies, or anything else they want to coordinate with their new wall coverings. 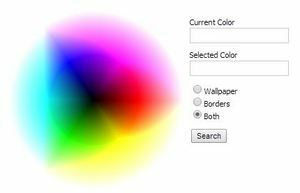 The color wheel allows users to search for wallpapers, borders, or both simultaneously, and the tool brings up many color options, including some that are perfect matches to the chosen color, and a few more that are close or complementary. This provides users ample selections to choose from while allowing them to explore options they may not have considered before. All computer screens are different, so the color wheel is best used as a guide rather than a definitive set of parameters. Its function is to help users find suitable options for wallpapers and borders that can meet their needs and this tool will bring up exact color matches as well as fairly close ones. The color wheel is available at the company's website to all users. No purchase is required to make use of the tool, although it may be tough to resist buying a wallpaper or border when it's available in the perfect color! Wallpapers To Go store began operating in the early 1970's and have been serving both residential and commercial wallpaper customers now for over 35 years. In addition, their online store has been supplying customers worldwide with one of the largest selections of wallpaper and wallcovering designs available. Find the perfect color for your home or office!